Begin your outdoor adventures on an undeveloped island with a picnic. 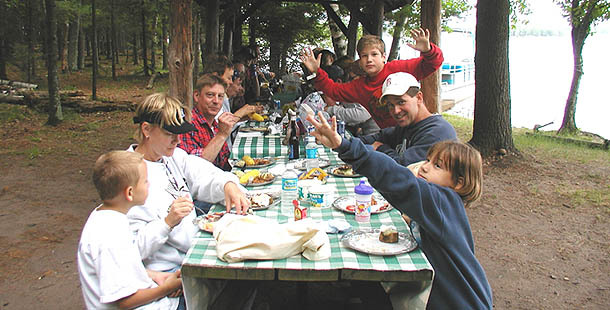 Knott Island in Teal Lake is set up for you with a large concrete grill, tables, and a long picnic table with roof. 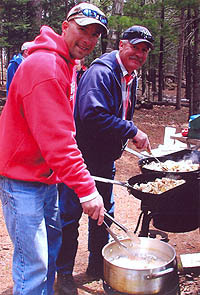 Grill fire wood will be supplied at lodge. Continue with a search for the towering pine eagle trees and the remnant foundation of old trapper Knott’s log cabin situated on a high point with a lake lookout. The island is easy to explore, is poison ivy free, and lets you safely escape in a nature-made world of tranquility and beauty: the feeling trapper Knott must have felt in this secluded environment. 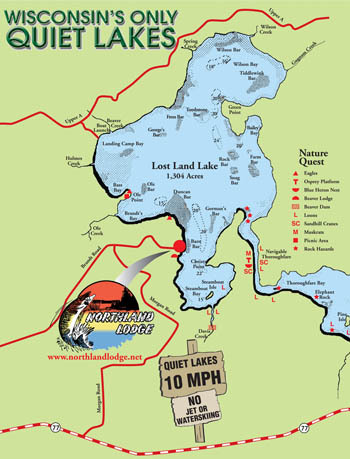 Location maps are available at lodge. 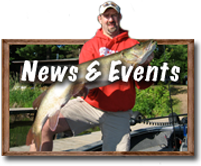 Enjoy a Knott Island shore lunch of fresh walleye or crappie provided by our guides after catching and releasing a trophy musky under their professional guidance. Call ahead for us to book one of our excellent guides. 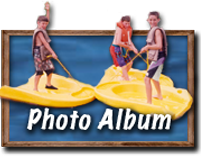 QUIET LAKES MAP – Click Here to View or Map Below!